After back surgery, doctors often recommend stretching exercises and gentle movements that boost blood circulation, according to Spine-health. It is important to avoid strenuous activities, such as twisting, lifting and bending. A postoperative rehabilitation program includes safe exercises that help speed recovery and reduce the risk of pain in the future, notes Spine-health. Besides improving circulation, exercise triggers the release of endorphins, which are hormones that promote a positive mood. Exercise contributes to the overall health of patients. 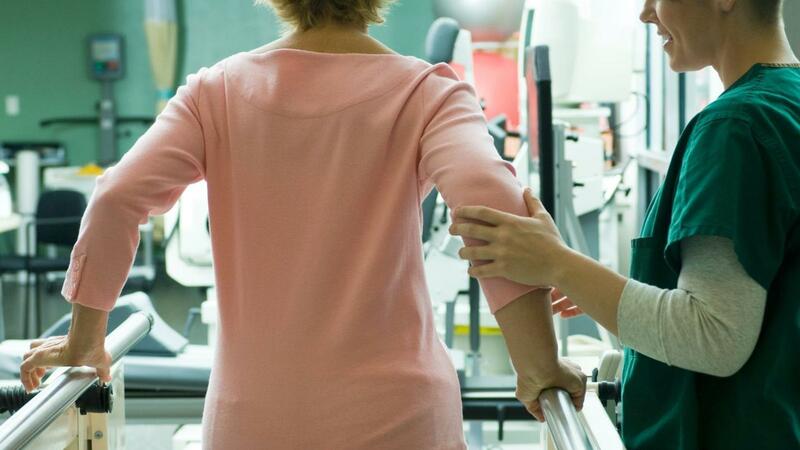 After a back surgery, it is also important for patients to understand restricted activities as well as allowed activities, such as walking, swimming and biking. Back-strengthening exercises following a microdiscectomy spine surgery typically include 15 minutes of safe stretching and strengthening exercises each day within the first three months, states Spine-health. Physical therapists may also suggest four-point stabilization exercises, in which the patient elevates an arm and positions the opposite leg behind him while kneeling on the floor. Four-point stabilization exercises improve the strength of the large back muscles and help maintain the stability of the back muscles. Pain management is also an essential part of the recovery process, and it involves taking prescription narcotic pain pills and anti-inflammatory medicines, explains Spine-health. It is essential to follow a doctor's written discharge instructions for managing pain and starting physical therapy to recover properly. What Types of Exercises Are Beneficial After Back Surgery?